Rome (Agenzia Fides) - "Together against trafficking" is the theme of the fifth World Day of Prayer and Reflection against Human Trafficking, celebrated on 8 February, on the day when we remember the liturgical memorial of Saint Josephine Bakhita, Canossian nun, of Sudanese origin, who became a universal symbol of the Church's commitment against trafficking. 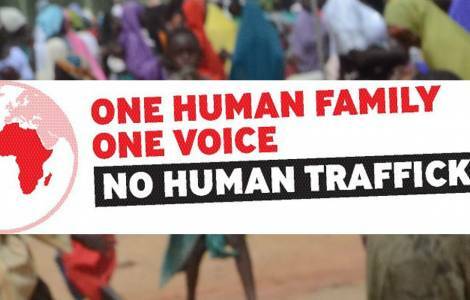 Human trafficking is still widespread in all the Countries of the world and on every continent. The illicit profit produced by sexual exploitation corresponds to two thirds of the illicit gain produced by human trafficking. According to data from the International Labor Organization, there are almost 25 million people in a situation of forced labor in the world, 70% of whom live in Asia. The activities in which we find most people forced to work are domestic. 168 million children are involved. Child slavery is often linked to another type of exploitation, early marriage. Of the 15.4 million women in the world who live forced marriage, 37% are under 18.